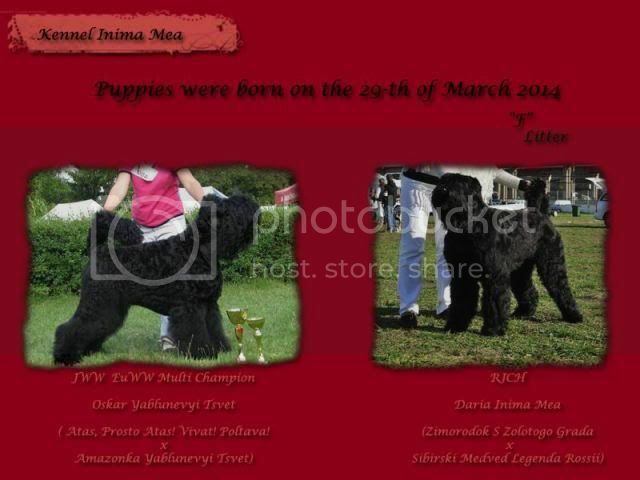 June 2016 Female puppy after our Fire Starter Inima Mea, born in Poland, kennel "Wspomnienie O Tigrze"
25.04.2016 (All puppies are sold) Puppies after our Fire Starter Inima Mea, born in Slovenia on the 29.03.2016. 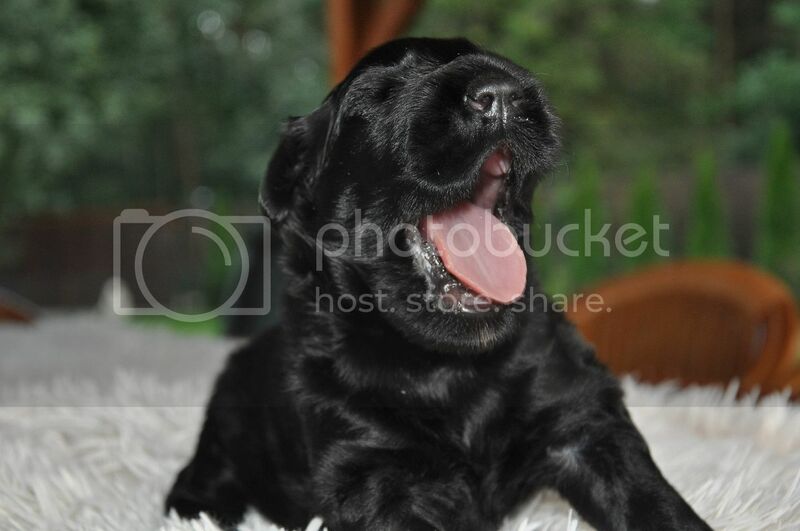 2 puppy males are available for new homes. 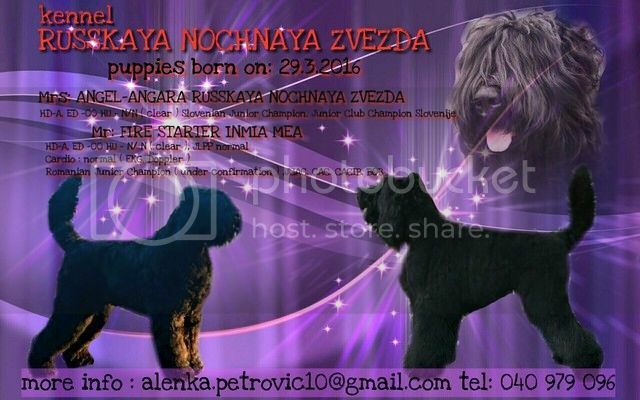 For information, contact the owner of Slovenian kennel "Russkaya Nochnaya Zvezda" Alenka Petrovic, trough phone or email written on the puppy announcement card. 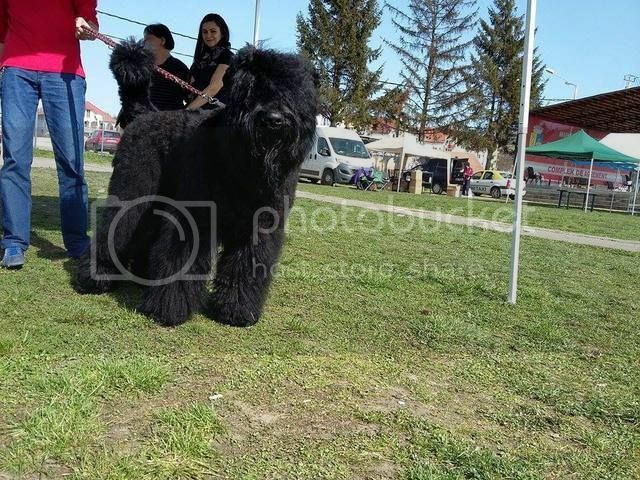 3.04.2016 CACIB Bistrita Dog Show - Fire Starter Inima Mea won Exc. 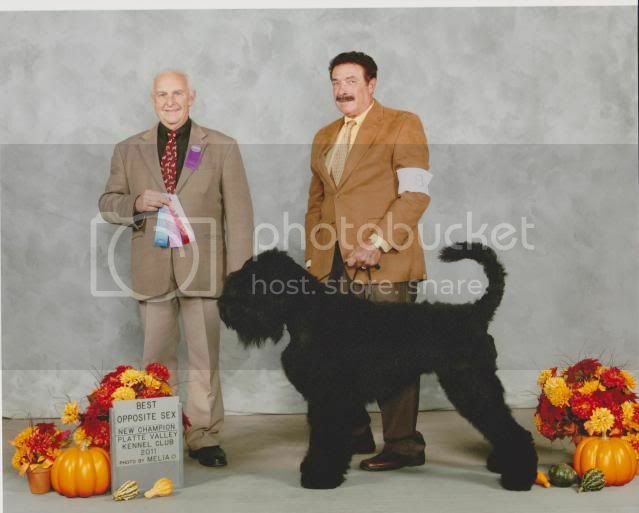 1, CAC, CACIB, BM, BOB under the honorable judge, Mr. Papp Vasile. We are very happy! 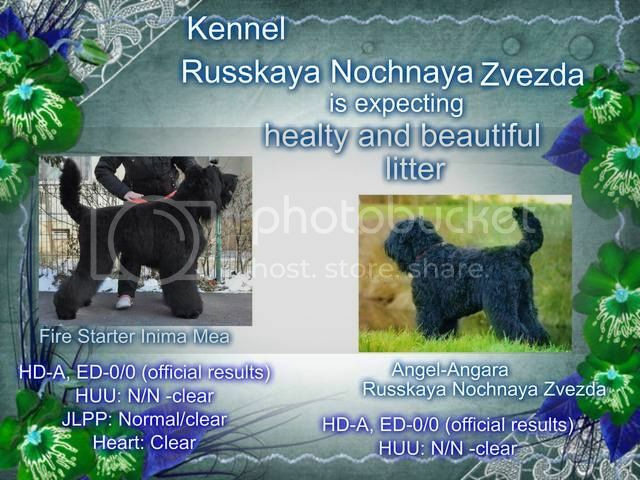 Wonderful news from Slovenian kennel "Russkaya Nochnaya Zvezda". 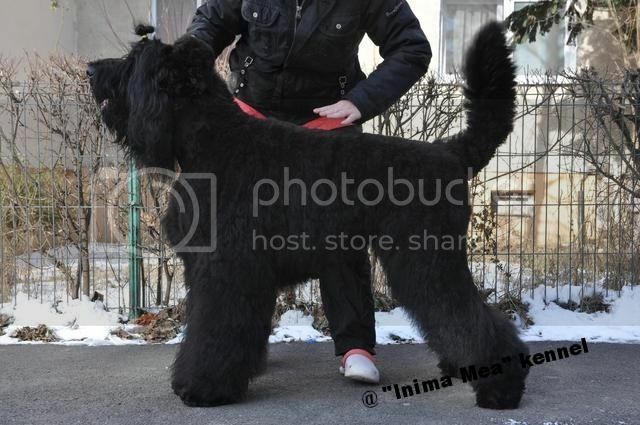 At the end of March puppies will be born from our male Fire Starter Inima Mea and Angel-Angara Russkaya Nochnaya Zvezda! 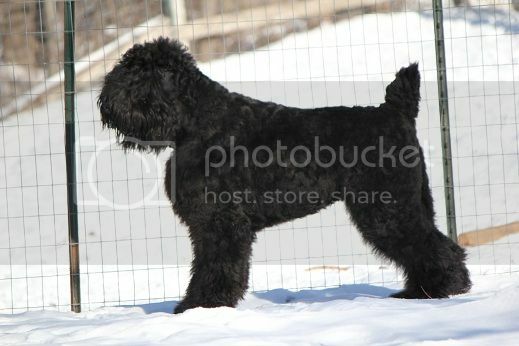 Waiting for healthy puppies with beautiful conformation and not last, wonderful character! Thanks to the honorable judges!!! 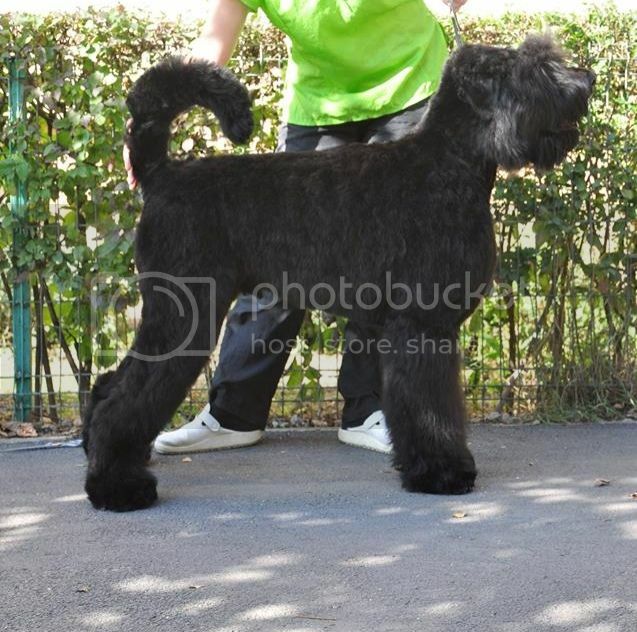 6.02.2016 FIRE STARTER Inima Mea is Junior Champion of Romania (under confirmation - waiting for Diploma). 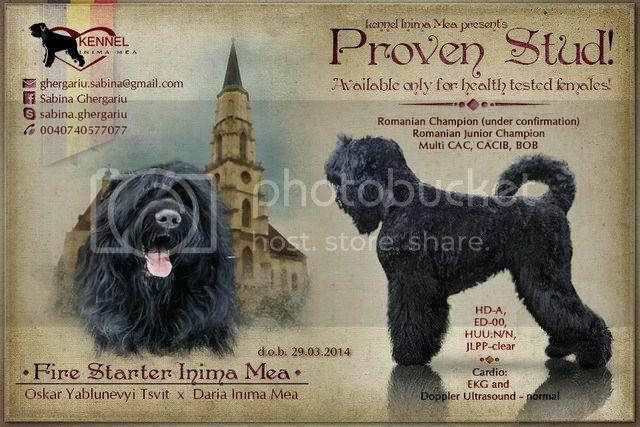 11-12.10.2014 FIRE STARTER Inima Mea won 2 x Best Puppy of Breed at Turda Dog Show. Great news from the UK. 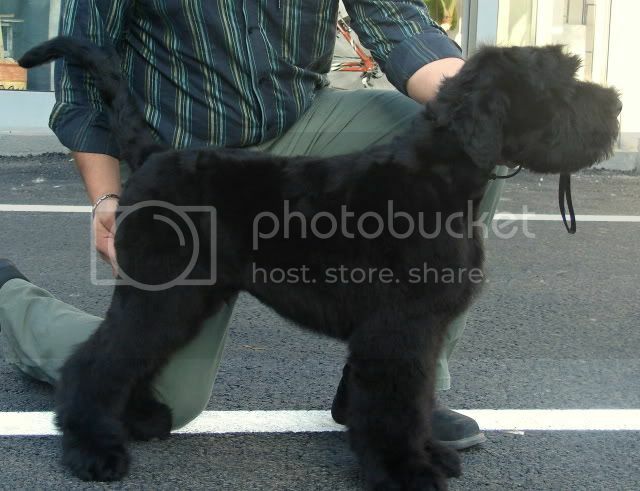 Our "D" litter puppy, DAREK Inima Mea, was officially tested. The results are: HD-6/5, meaning a total score of 11. Excellent hips. (Hyperuricosuria)HUU-N/HU. Wonderful results. 11.06.2014 Fairy Tail Inima Mea. 29.03.2014 PUPPIES WERE BORN. 5 males and 3 females. 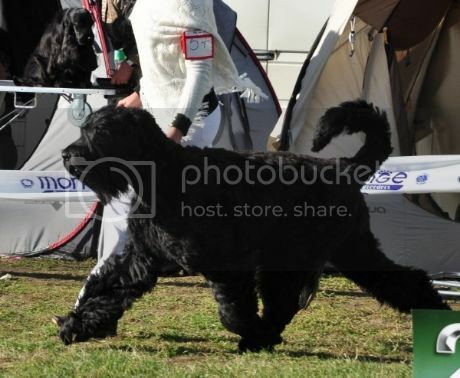 Male: EUWW`2012, JWW, Multi Ch OSKAR Yablunevyi Tsvet and female: Ro Junior Champion DARIA Inima Mea. 6.10.2013 CAC Szeged ENGEL Inima Mea received Exc 1, HPJ. He became HUNGARIAN Junior Champion . Congratulations! 5-6.10.2013. 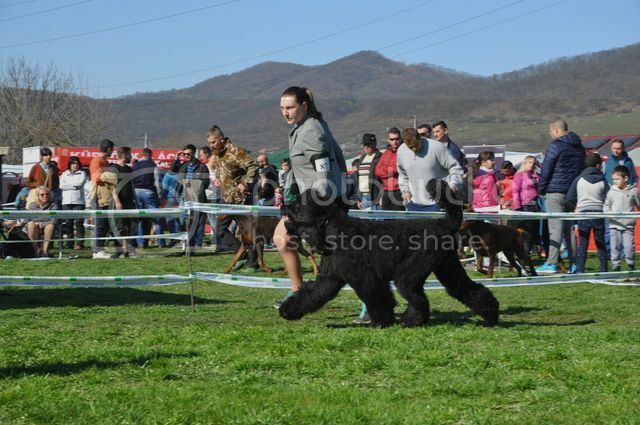 Double CACIB in Baia Mare: DARIA Inima Mea won 2 x CAC, 2 x CACIB, 2 x BOB!!! 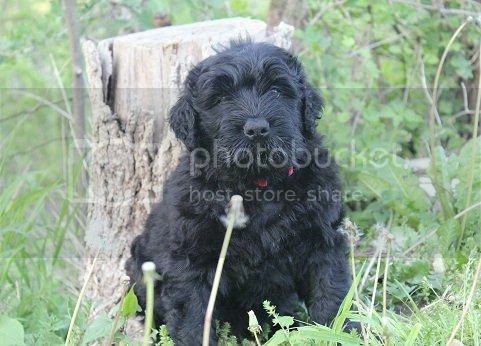 Engel Inima Mea, 3 months old. He is having a new, loving family! Puppies are born on 4.11.2012! 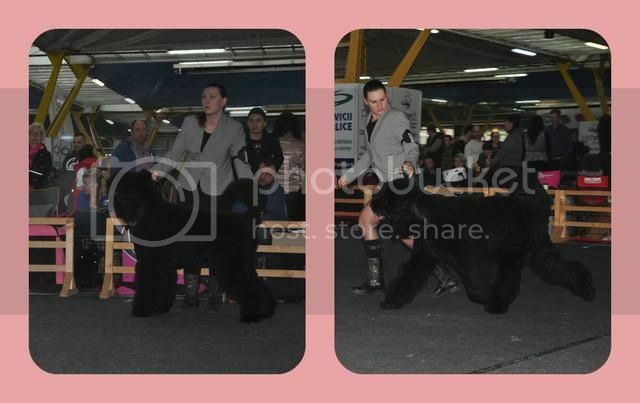 9-10.06.2012 Double CACIB, 1 CAC dogshow in Cluj-Napoca. 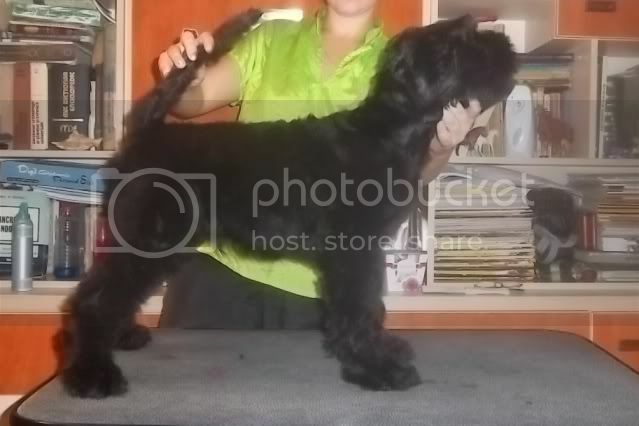 DARIA Inima Mea, won 3x Junior CAC, 3x BOB. She became Romanian Junior Champion . 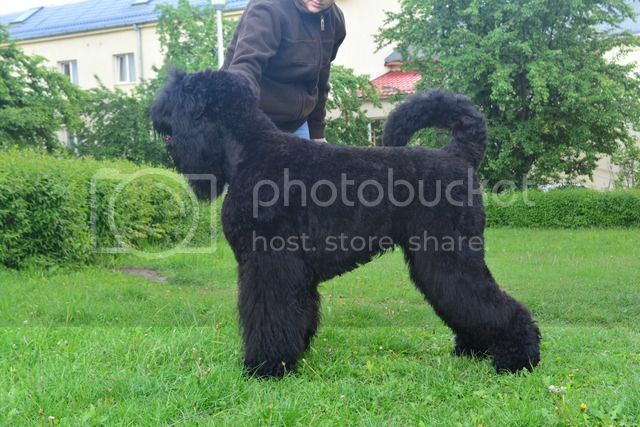 Congratulations to her owners, Oana & Radu. 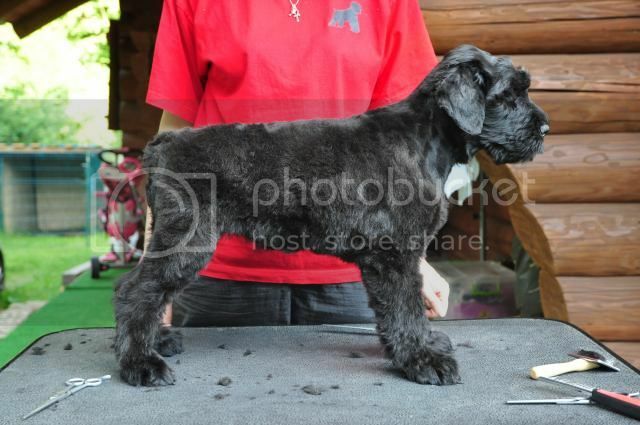 27.05.2012 Darek Inima Mea (UK) won Best Puppy of Breed, Res. 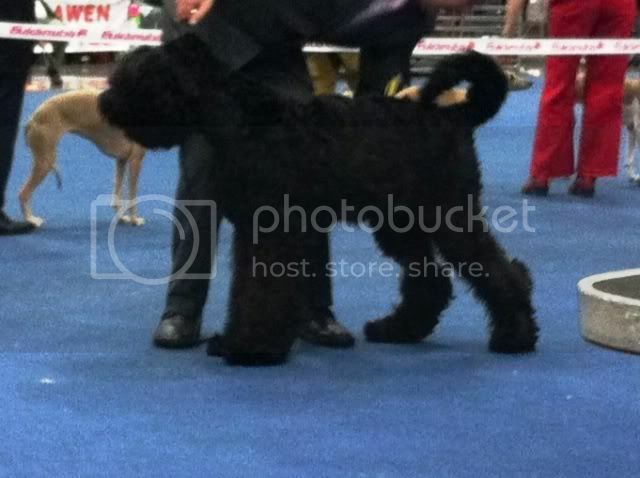 BOB and was selected among the first 6 puppies in a group of 16 puppies in Working group. 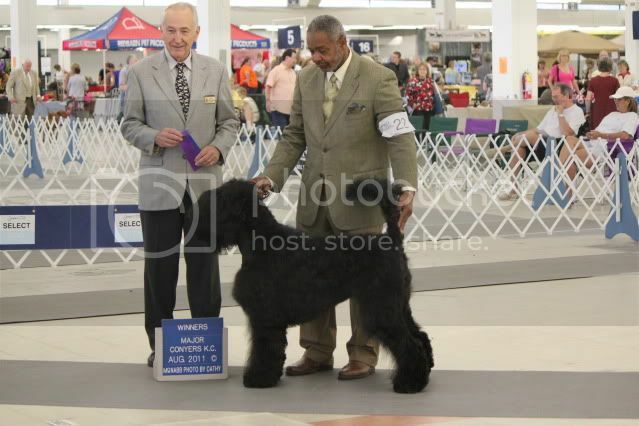 Congrats to his owner and handler! You make us so proud! 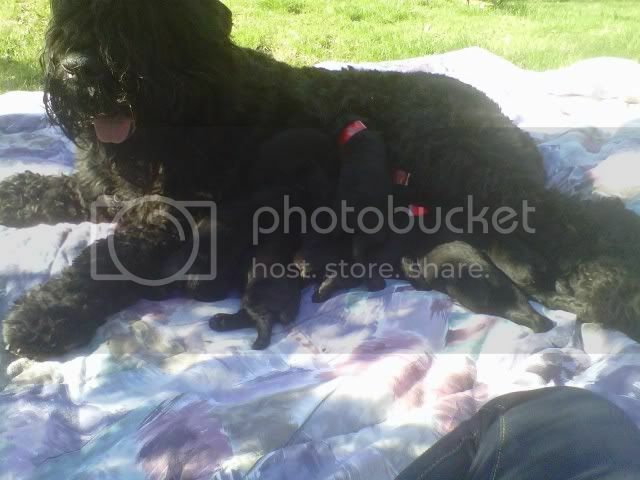 26.03.2012 Our daughter Cinderella Sweet Inima Mea having the first picnic together with her babies. Some of them are still available. 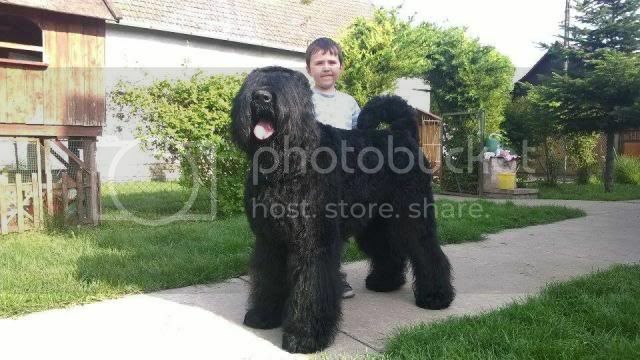 If You are interested contact the breeder. 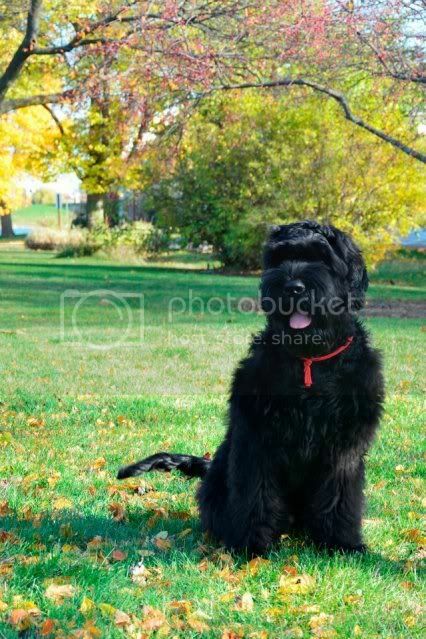 Puppies are born in the USA, state Iowa. 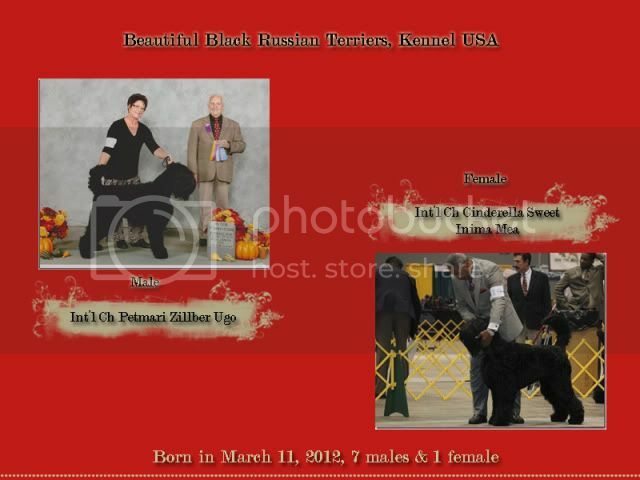 11.03.2012 In the USA, 8 ( 7 males, 1 female) strong puppies were born after our daughter AKC Ch, Int`l Ch (IACBA) CINDERELLA SWEET Inima Mea and Int`l Ch (IACBA) Petmari Zillber UGO. 21.01.2012 Wonderful news from England! 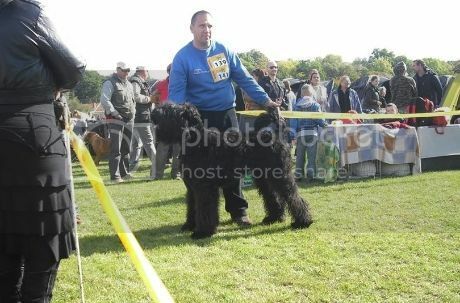 Our beloved boy, Darek, won at the Manchester Dog Show the following: Crufts Qualifications 2013, Best Puppy, Reserve Best Dog. 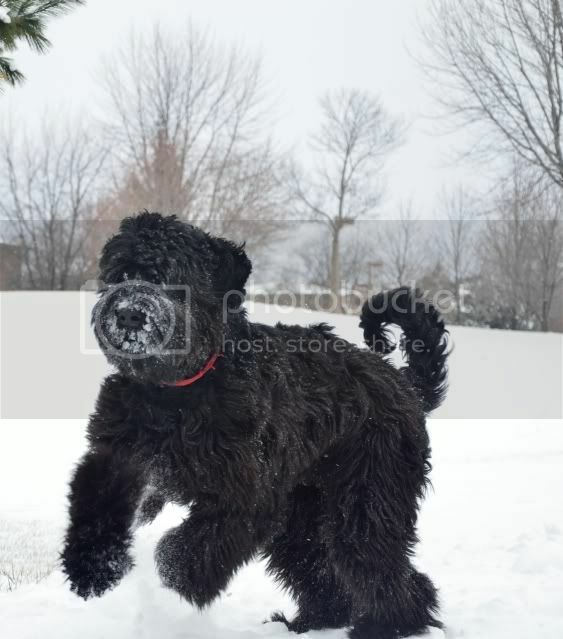 Damon Inima Mea and his first snow! He really enjoys it! happy boy! 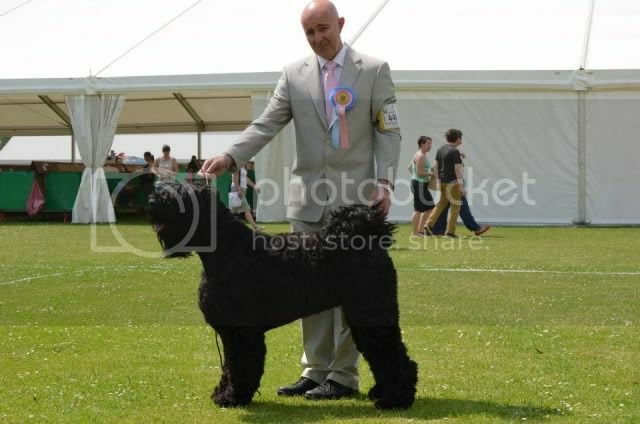 DAREK Inima Mea ( 6,2 months) took part at a big dog show in England ( the first one for his show career) and he won Crufts Qualifications 2012 and second in puppy class - AVNSC Working Class! Wonderful result, dear boy!!! 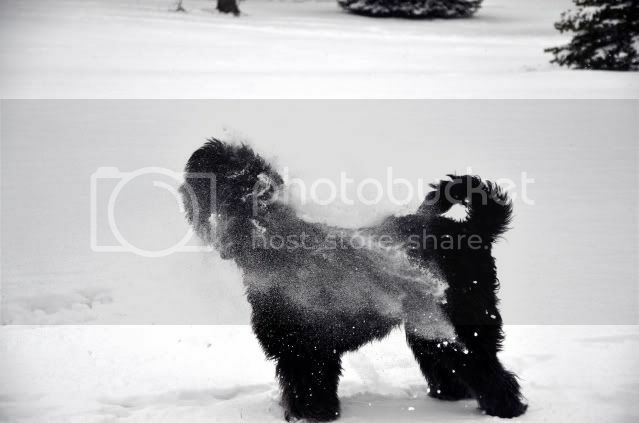 Dani Boy Inima Mea (living in Bucharest, Romania) and his owner enjoying the winter without snow. 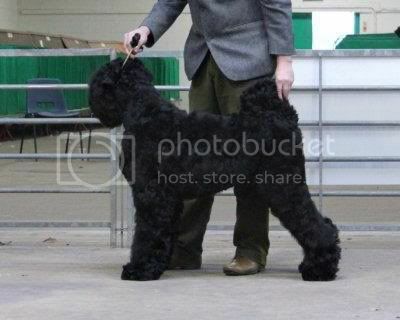 CINDERELLA SWEET INIMA MEA became officialy AKC Champion. Great news from USA. 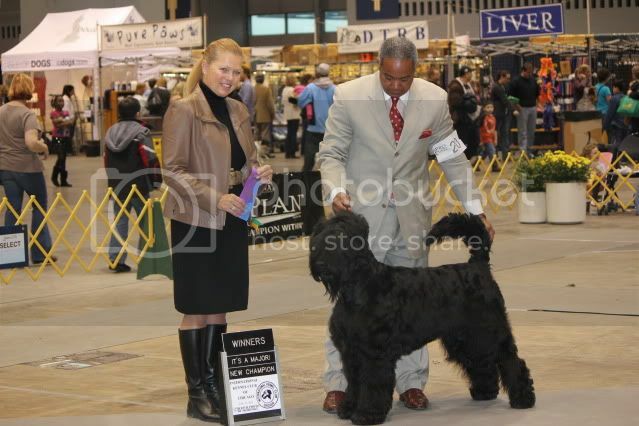 Congratulations again to her wonderful owners and handler! Thank You for loving the girls and taking so much care of them. 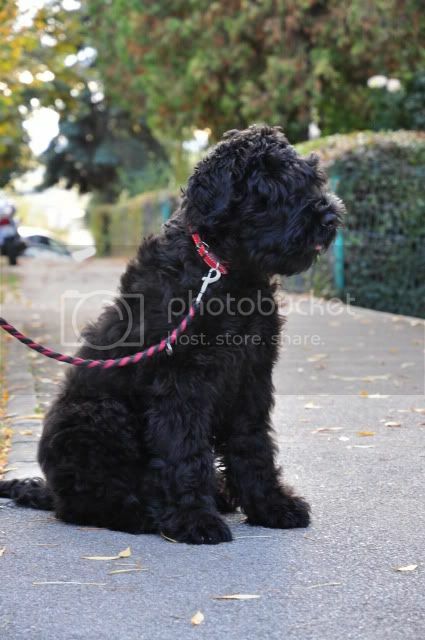 Darek, 4 months old. Autumn profile. Darek Inima Mea, 11 weeks old (in the photo). 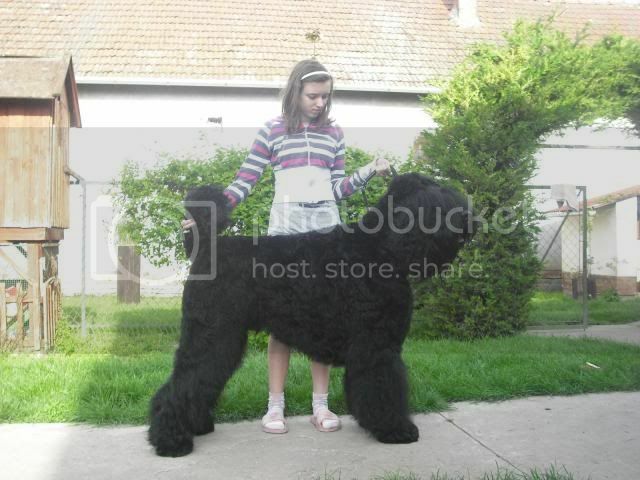 12.09.2011 Beautiful picture of Daria Inima Mea and her new friend, Pascal. 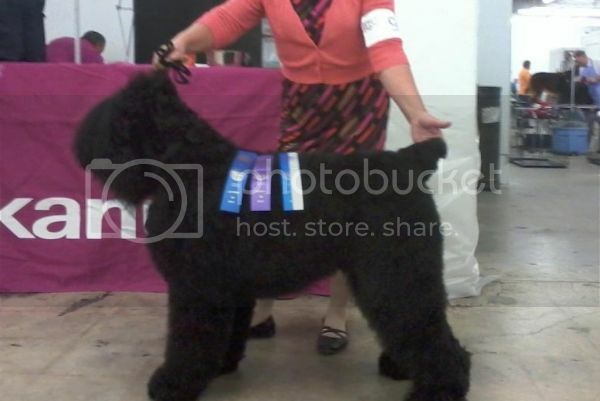 31.08.2011 Cinderella Sweet Inima Mea won another Major this weekend at the dog show held in Atlanta, Georgia. 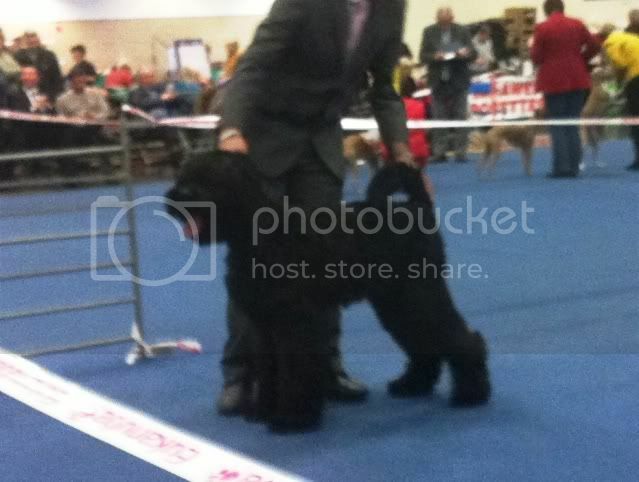 She is one step closer to the AKC Championship! Go girl! 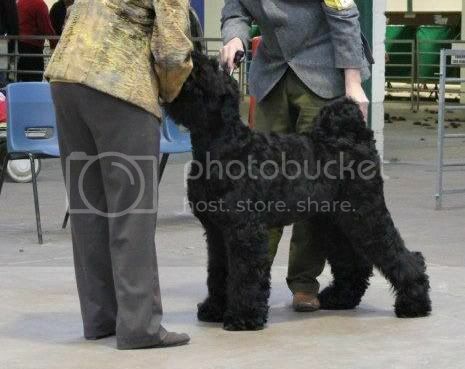 CAMIRA INIMA MEA became this February AKC Champion, at the age of 14 months. 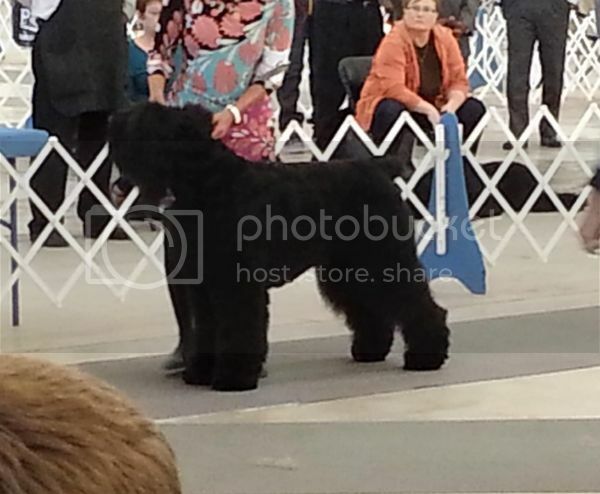 Congratulations to her wonderful owners & her handler! You did a great job together! 30.08.2011 Pictures with our "D" puppies. 29.07.2011 Our web-site will be soon updated. Thank You for understanding. 19.07.2010 New pictures of Caramel Flavour Inima Mea ( our Candy baby) Click to see pictures --------> Caramel Flavour Inima Mea. 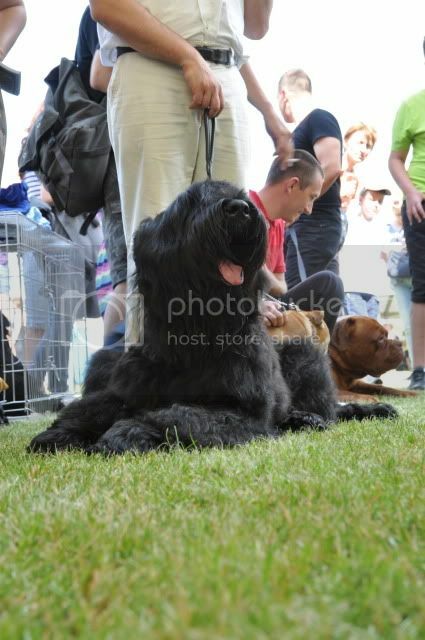 17.07.2010 CAC Oradea - Our boy, Andrej Ricci Inima Mea, won exc. 1, CAC and BOB!!! Congratulations to Ricci and his owners!!! 17-18.04.2010 SIBIRSKI MEDVED LEGENDA ROSSII - new CHAMPION OF ROMANIA!!! After participating at Satu Mare 2 CACIB, Zuzi obtained 2 x Excelent 1, 2 x CAC, 2 x Rez. CACIB. Congratulations my beautiful young girl!!! 25.03.2010 Andrej Ricci Inima Mea (Malahovskyi Sovetnik x Horobre Serdce Evrika) is offered for stud. 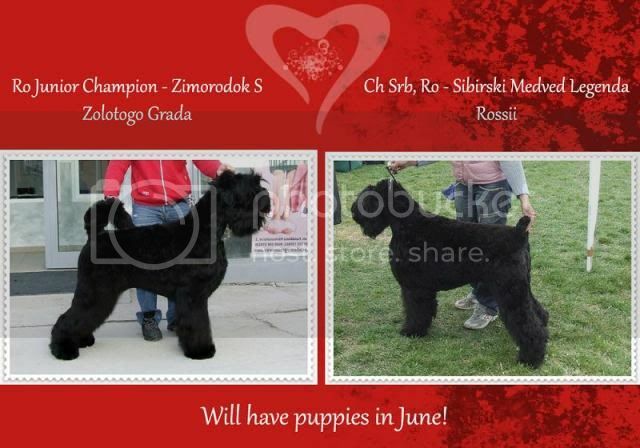 Show results: Champion Romania, Junior Champion of Romania, BOB, CACIB, CAC, Junior CAC, BJ Of Breed. Oficial HD Result: HD-B, ED-00. Serious inquieries are welcomed. For photos and more details, please send us an email. 19.03.2010 Pictures with Caramel Flavour Inima Mea after her arrival in Budapest. 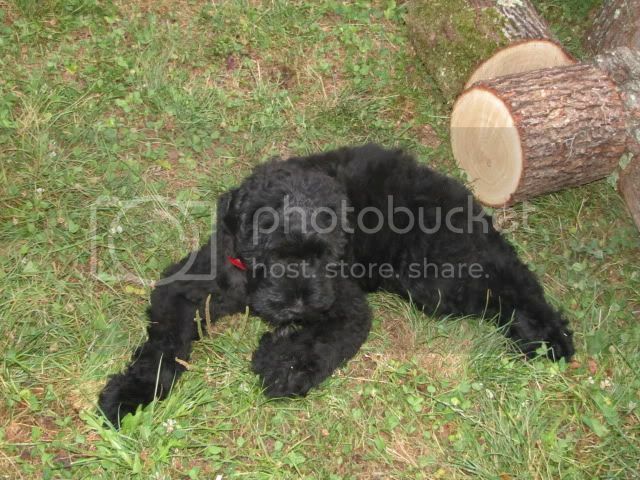 Click here to see pictures of "C" litter puppies. 12.02.2010 ALL PUPPIES FROM OUR "C" LITTER ARE SOLD. 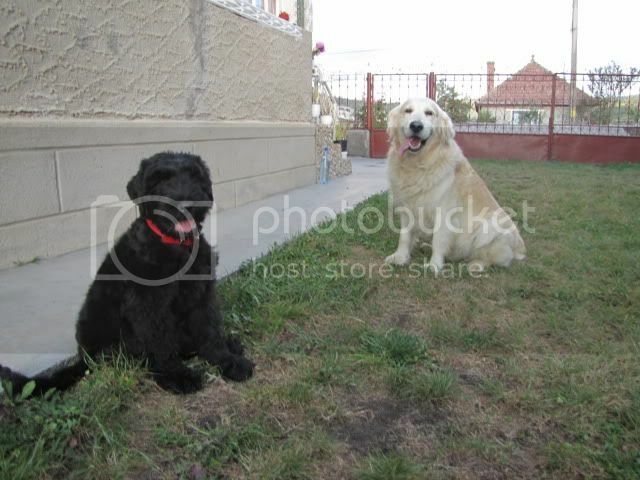 11.01.2010 HAPPY BIRTHDAY to our "A" litter ( Malahovskyi Sovjetnik x Horobre Serdce Evrika). 31.12.2009 PUPPIES ARE BORN 6 females, 3 males. For more information contact us by e-mail or phone. 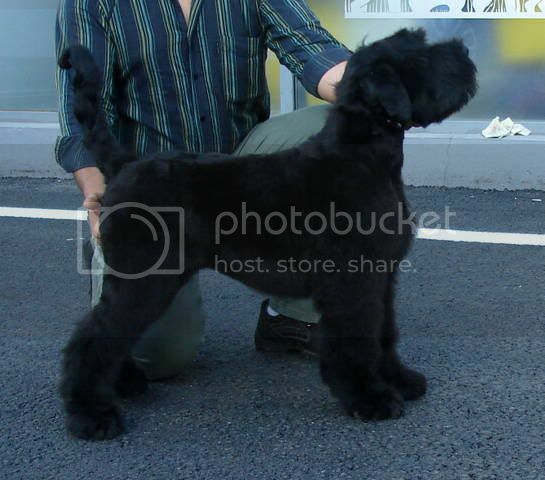 We expect puppies at the beginning of January 2010 out of Ch Srb, Slo, Hu, Cro, Ua, Ro, INT CH CARPATHIAN BLACK PEARL RAMIR BARON and Ch Srb SIBIRSKI MEDVED LEGENDA ROSSII!!! Click here for puppie's pedigree. 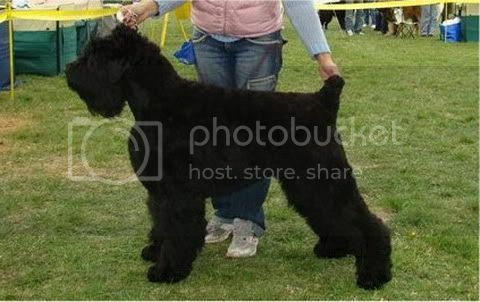 Sibirski Medved Legenda Rossii won in both days of Show 2xCAC, 2xCACIB, 2xBOB. 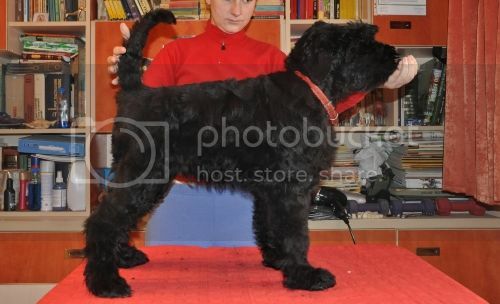 ANDREJ RICCI INIMA MEA (Malahovskiy Sovetnik x Horobre Serdce Evrika) was official x-rayed and the result is HD-B, ED-00. Congratulations to Ricci and to his wonderful owners!! !